As an entrepreneur or small-business owner, there are many reasons why you’ll need some financial backing from time to time. Whether you need some substantial seed money to get your business off the ground, or you require some additional financial support for revamping the company, it can be daunting to approach the realm of money-borrowing. There are many potential pitfalls that can put individuals and companies in tough financial situations down the line. As such, it is extremely important to navigate the wide world of loans with caution and a thoroughly researched agenda. There are many different types of loans that individuals can seek out, but some have fewer drawbacks and risk than others. One of the best options on the market today, in terms of minimal credit risk and flexibility, is a stock loan. Stock loans, also referred to as securities lending, are essentially the process of borrowing money on stock owned in a publicly traded company. If you want to hang onto that stock and don’t want to sell, you can still utilize that money to your advantage by borrowing against it. Typically, securing funding through securities lending is far more appealing than opting for the traditional margin stock offered through brokerage firms and banks. Many companies can help you navigate the process, such as Easy Stock Loans, and advice from ESL is easy to obtain through their website. When you choose to borrow money through traditional, credit-based methods, there are often strict restrictions placed on what the money is used for. If you want an auto loan, for example, the money you are acquiring is for a very specific purpose and is regulated as such. But with securities lending, the money you borrow can be utilized for almost anything. This gives immense freedom to borrowers, especially those who have various and somewhat complicated expenses in relation to starting a business. With credit-based or margin borrowing, the cut off for how much you can borrow typically falls around 50% of the stock’s value. But with stock loans, you have the potential to secure up to 80% of the stock’s value for your loan. This makes a monumental difference for folks needing a substantial amount of seed money for a project. More value comes from one loan, and it becomes less likely the borrower will need to seek out a variety of financial sources. While interest rates of bank loans have a tendency to fluctuate with the market and are often pretty high, the interest rates of securities lending are, typically, much lower comparatively. 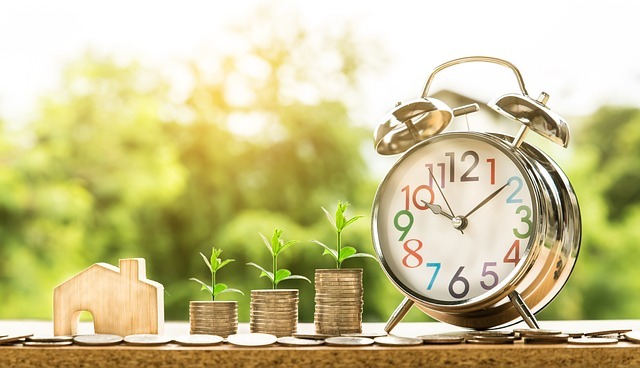 Stock loans are also generally set at a fixed rate, meaning you know what to expect of the financial commitment going in and can adequately prepare. Stocks are a fickle game. There is constant fluctuation in the market, and changes can happen rapidly and unexpectedly. Borrowing against your securities is a great way to hang onto a stock that you feel may appreciate in value, while still utilizing the funds of that stock for your business or personal projects. If the stock appreciates, you still benefit. Plus, most stock loans have non-recourse agreements. That means that if the stock value plummets, you can potentially relinquish it and still maintain the money borrowed against it. You also have the option to terminate the loan with no backlash or harm to your credit. There are many types of loans that can help those in financial need, but if you are able to choose a stock loan, it is well worth the consideration. Why wait? Get the financial support you need today with a stock loan.